While most readers will be enjoying some measure of nice weather up north here in Wellington we are currently being lashed by one of the many winter storms we tend to get at this time of year. Nice weather, as they say, for ducks. Which segues nicely into the bird I’ll be talking about today, the Brown Teal, Anas chlorotis. Not the most exciting name for a bird, I’ll grant you, but not everything can be a Blue-footed Booby. But names aren’t everything and there is plenty to say about this species. 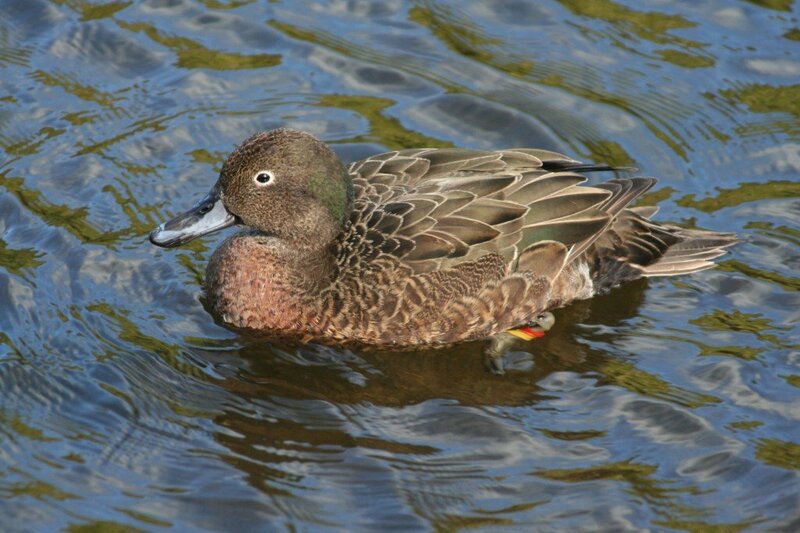 Male Brown Teal showing some breeding plumage. 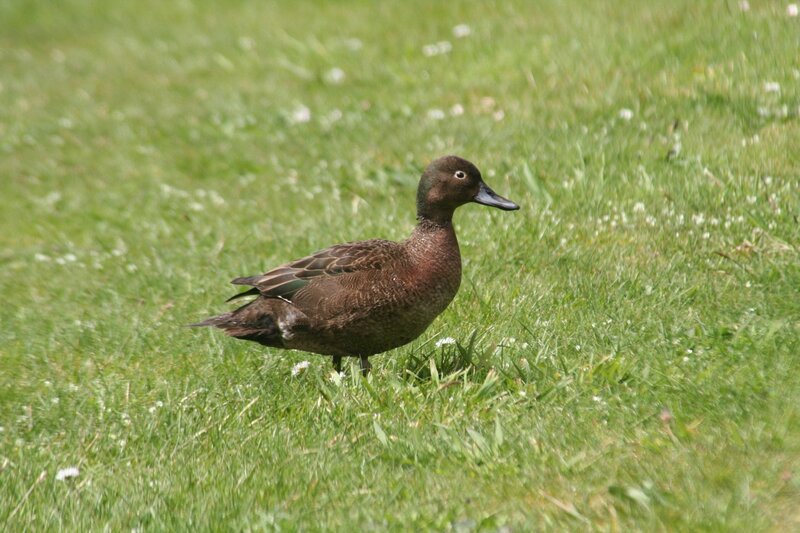 The Brown Teal is endemic to New Zealand, and was once lumped with two closely related island forms, the Auckland Island Teal and the Campbell Teal. 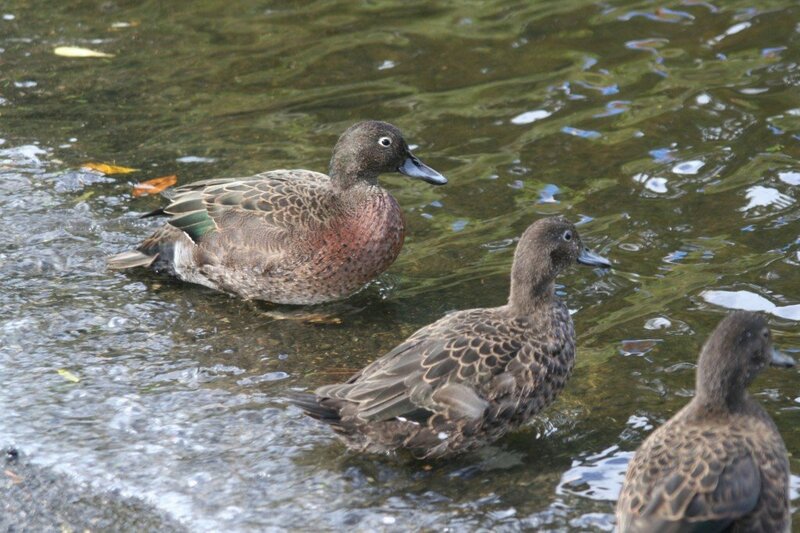 The latter two species are flightless, but the Brown Teal is flighted and in the old days used to locally migrate in large numbers to winter roosting areas. 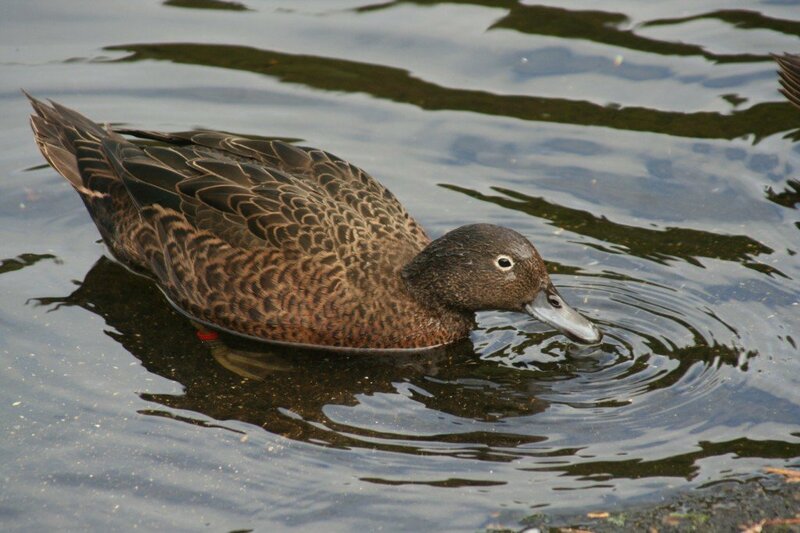 It’s relatively small as ducks go, and certainly doesn’t have stunning plumage, but it is fairly attractive and has a distinctive white ring around the eye which helps distinguish it from the closely related Chestnut Teal of Australia. 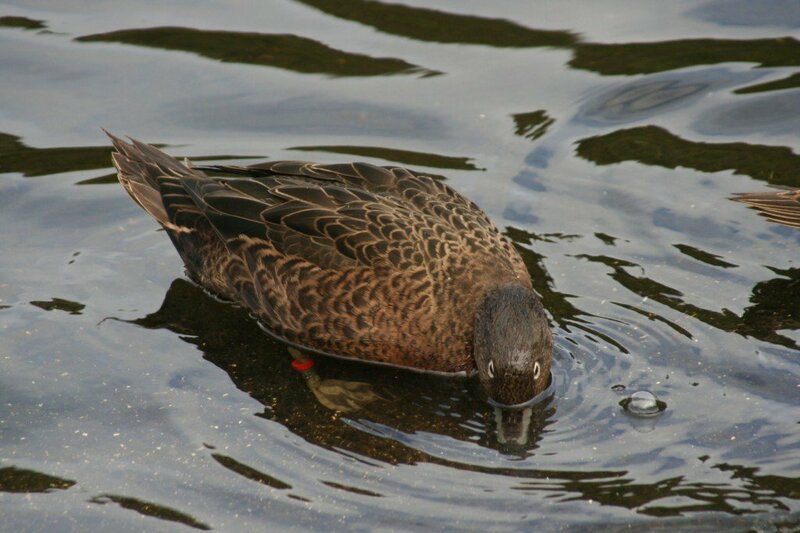 One interesting behavioural quirk of Brown Teal is that they are generally nocturnal. 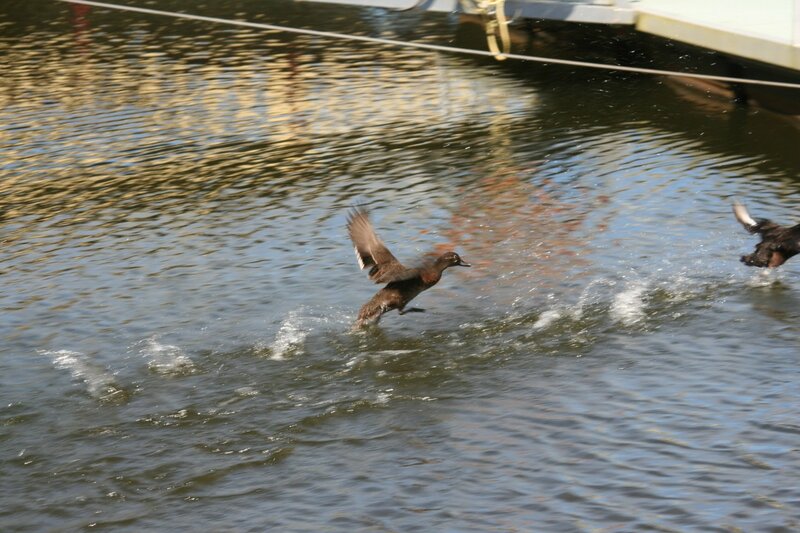 They mostly roost during the day and feed at night on marine and freshwater invertebrates. They are also highly territorial, and will aggressively chase off other members of their species as well as other species of ducks. 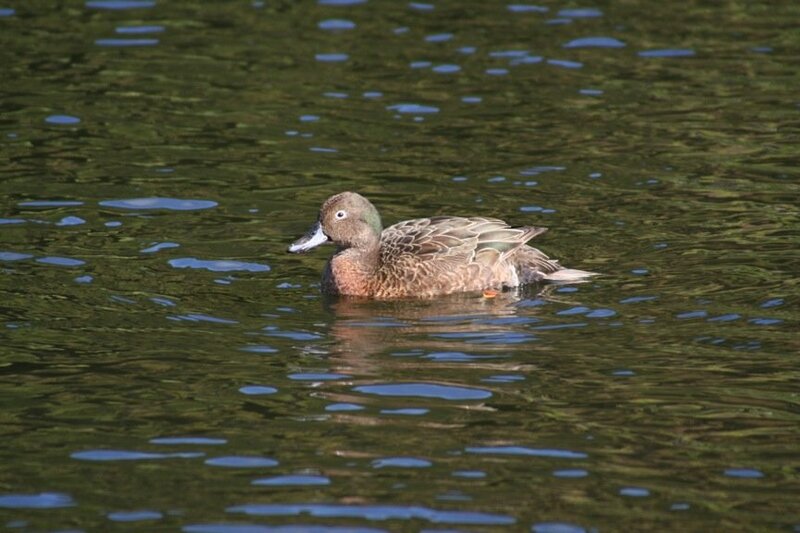 Unlike the situation in Mallards the males of the Brown Teal will remain with the female after laying to guard the breeding territory and even helping raise the ducklings once they have hatched. Adult male with almost fully grown youngsters. Almost fully grown young bird. 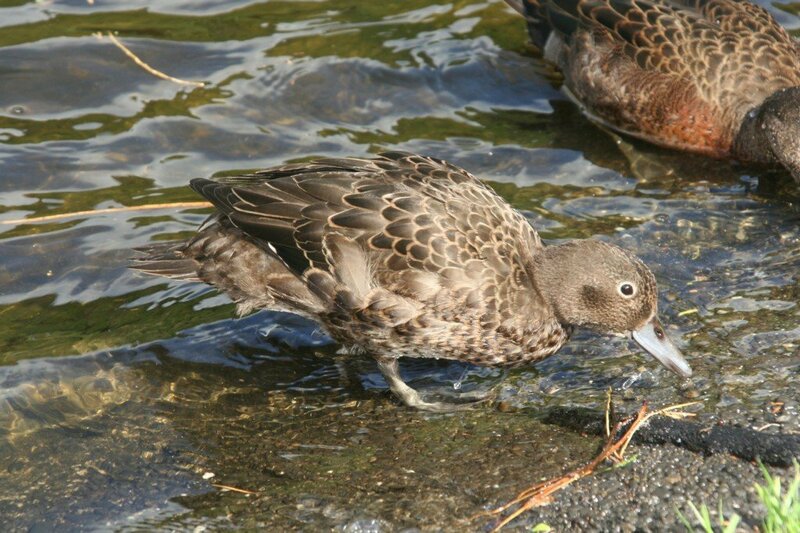 Like many interesting New Zealand endemics the Brown Teal has unfortunately suffered badly at the hands of man. Once common across the length of New Zealand, introduced species and wetland clearances have caused the species to decline rapidly, with the species being lost from Stewart Island in the 1970s and the species’s extinction in its last South Island enclave, the Fiordlands, being reported as imminent in 2000. The last stronghold of the species is Greater barrier Island and the coast of Northland at the northern tip of North Island. The species is dependent upon predator control in order to survive, and while some small populations have been established on predator free islands, the future of this species is essentially contingent on reintroduced populations in intensively controlled conservation land. Hopefully the species will continue to survive and one day reclaim the country that was once its own.